Murder by Gaslight: Monster or Maniac? 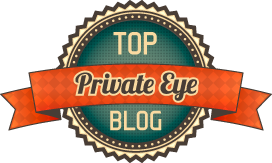 On March 17, 1888, Mrs. Sarah Jane Whiteling of Philadelphia sent for the family physician, Dr. George Smith, to examine her husband, John, who was vomiting and suffering from abdominal pains. The doctor diagnosed John’s illness as inflammation of the bowels and prescribed some medicine. It did not relieve the suffering, however, and three days later John Whiteling was dead. Dr. Smith was summoned to the Whiteling home again about a month later, this time to attend Mrs. Whiteling’s daughter Bertha. She expired as well, and Dr. Smith attributed her death to gastric fever. When Dr. Smith was called again in early June, to treat 2-year-old William Whiteling he refused; having already presided over two deaths in the Whiteling household he referred the case to Dr. George Dietrick. When William died, Dr. Dietrick gave obstruction of the bowels as the cause of death. After the three deaths with similar symptoms, Dr. Smith became suspicious and went to the coroner with concerns that something wasn’t right in the Whiteling household. Deputy Coroner Powers went to the home of Mrs. Whiteling and thoroughly examined the drainage, but found nothing unusual. Coroner Ashbridge ordered the exhumation of the three bodies and a chemical analysis of the viscera found that each contained a large amount of arsenic. Mrs. Whiteling was arrested and her house was searched for poison. At first, Mrs. Whiteling denied having anything to do with the death of her husband and children, but after intense questioning, she finally gave a detailed confession beginning with the story of her life before arriving in Philadelphia. She was born Sarah Jane Bard in 1848 and brought to America from Germany when she was nine months old by her mother who died soon after. She was raised by an American family in Iowa until she was 12 then began working as a housekeeper for different families. In 1868 she married Tom Brown, and they moved to Chicago where they stayed until the great fire, then they moved to Philadelphia. In 1887 Tom Brown was arrested for highway robbery and sentenced to the Eastern Penitentiary where he died soon after arriving. Sarah Jane took up with Thomas Story who kept an oyster saloon in Philadelphia. He was the father of her daughter Bertha but she and Story broke up soon after the birth. Bertha was nine months old when Sarah Jane married John Whiteling, a street car conductor, and factory worker. 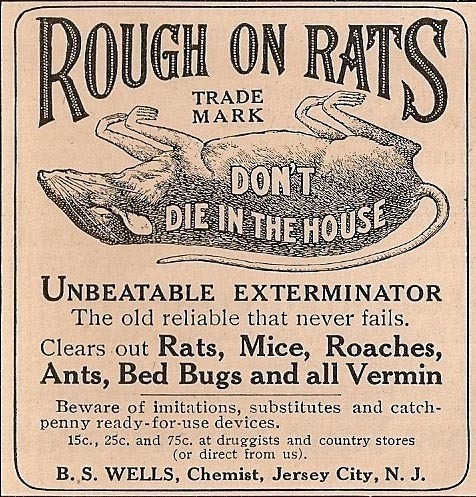 The poison came into their house in the form of a commercial product for exterminating vermin known as Rough on Rats. 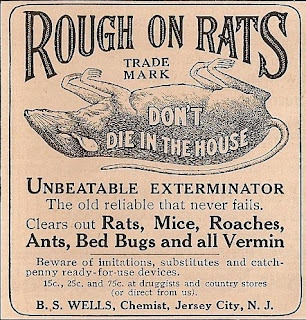 Mrs. Whiteling bought it to kill insects that had infested the house, but her husband forbade her from using it out of fear that the children might be poisoned. John Whiteling had a history of depression and was often too sick to work. Soon after Sarah brought the poison home, John told her that he had taken it himself to commit suicide. She sent for Dr. Smith, and although she knew her husband had taken poison, she did not tell the doctor; she was afraid that if he died, she would not get his insurance money. His life was insured by John Hancock and she received $145 on her husband’s death. She also received $85 from Herd No. 2 of the Order of Buffaloes. About a month later Mrs. Whiteling decided to poison Bertha. Her motive, she said, was not for the insurance money but because she feared “that Birdie might grow up to be sinful and wicked.” She had a habit of stealing pennies from people and had once stolen a pocketbook from her teacher. Bertha was a thief, and a liar and her mother did not want her to grow up to be a great sinner. She gave Bertha a spoonful of Rough on Rats, dissolved in a glass of water, every half hour until she started to show symptoms. At the same time, she gave poison-laced candy to neighborhood children to throw suspicion on the candy. Bertha’s life was also insured by John Hancock and when she died her mother received $122. Mrs. Whiteling admitted that her little son William was sinless; she poisoned him to get him out of the way. He was a burden; she could not go out to work and care for him as well. On his death, she received $17 from Prudential and $30 from John Hancock. Sarah Jane Whiteling was charged with three counts of murder. Her trial, in November, was for the murder of her daughter Bertha. There was no question of her guilt, but the jury would decide if she killed with malice aforethought. Her plea was not guilty by reason of insanity. Throughout the trial, she was attired in deep mourning wearing a black dress and with a thick black veil covering her face. Her attorney, Mr. Paxson, in his closing argument called for mercy. “I appeal to you, gentlemen of the jury," he said, "as you love and venerate the character of woman; by that spirit of holy reverence that surrounds your recollection of mother, sister, or daughter; by all the holiest, purest, and sweetest ties of our fallen nature; by that tender regard for the character and suffering of woman which is today the distinguishing mark of Christian civilization, to approach this awful question with tenderness, mercy and fear. As you hope that the great Judge of all in your last extremity, will heed your plea for mercy, render in this hour your duty to this poor creature, this child, your sister, and mine, in the great brotherhood of God's love, for with what measure you mete it shall be measured to you again." Mr. Paxson’s words had affected one juror before the jury retired to deliberate; he favored clemency because the defendant was a woman. The remaining eleven spent the next hour and a half convincing him otherwise. In the end, the jury unanimously found Mrs. Whiteling guilty of first-degree murder. She was sentenced to hang on March 27, 1889. Mrs. Whiteling’s motion for a new trial was denied. She petitioned the governor to commute the sentence to life in prison, and this was denied as well. He did grant a temporary respite, but on June 25, 1889, she climbed the steps to the gallows in County Prison. She went calmly and almost serenely to her fate, whispering a prayer but making no statement. She had earlier told her spiritual advisors that she expected to meet her husband and children in heaven. The trap was sprung at 10:07 and eleven minutes later Sarah Jane Whiteling became the first woman executed in Philadelphia County. “"Did Kill and Murder" ,” Philadelphia Inquirer, September 14, 1888. 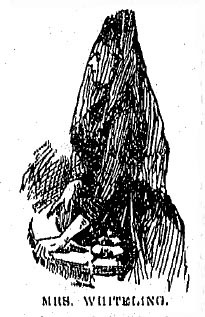 “[Sarah Jane Whiteling],” Philadelphia Inquirer, November 29, 1888. “Appalling Revelation,” Philadelphia Inquirer, June 13, 1888. “The Board of Pardons,” Philadelphia Inquirer, March 19, 1889. “The Case of Mrs. Whiteling,” Lucifer, the Light-Bearer, April 19, 1889. “Crimes And Accidents.,” Springfield Republican, December 23, 1888. “Deserved Death,” Plain Dealer, June 26, 1889. “Granted a Respite,” Daily Illinois State Register, March 22, 1889. “Monster or Maniac? ,” New York Herald, June 16, 1888. “Mrs. 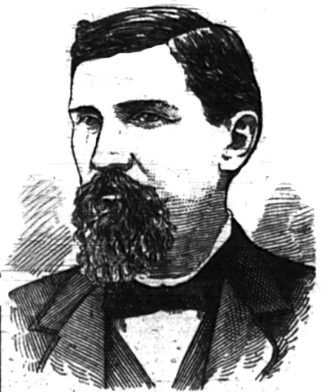 Whiteling Ready to Hang,” New York Herald, June 25, 1889. “Mrs. Whiteling to Hang in March,” Weekly Courier-Journal, January 14, 1889. 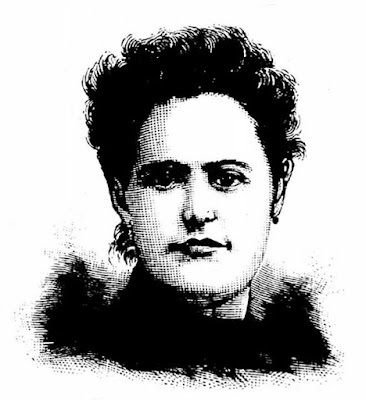 “Sarah Jane Whiteling,” Trenton Evening Times, December 9, 1888. “The Penalty is Death ,” Philadelphia Inquirer, November 29, 1888. A lot of malarkey in in the defense closing argument. My pleasure, How. The more information and pictures the better.